Display Lighting has recently launched the new LED POLE following a number of requests for a spotlight with focuseable beam of light. LED POLE can produce a beam of light from a narrow 10 degrees through to a wide angle 40 degrees meaning that it is the perfect lighting solution for illuminating a variety of different size products wihtout having to install different models of lighting. 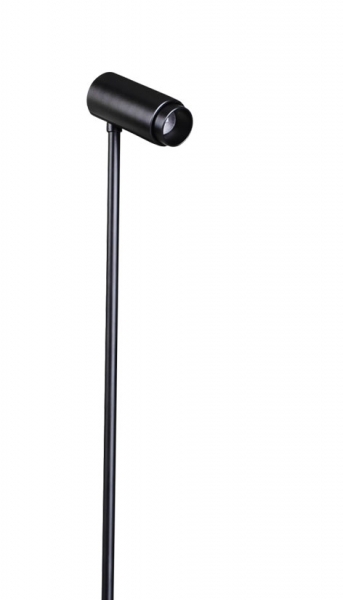 LED POLE spotlights can be controlled and operated in a number of ways. Display Lighting can also provide the LED POLE spotlights wired as a plug and play system that can be stand alone or supplied with 1-10V dimming and Bluetooth enabled control is now available so that the spotlights can be switched and dimmed from your smart phone or tablet using IOS or Android.